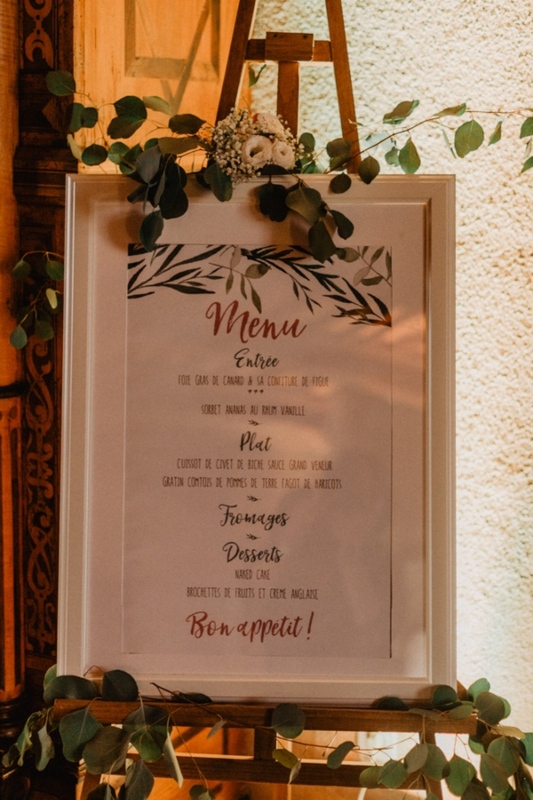 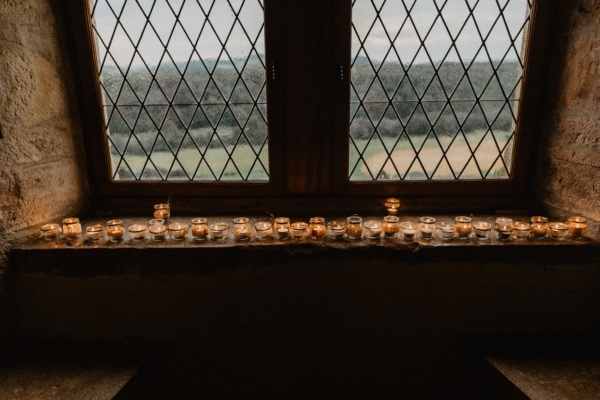 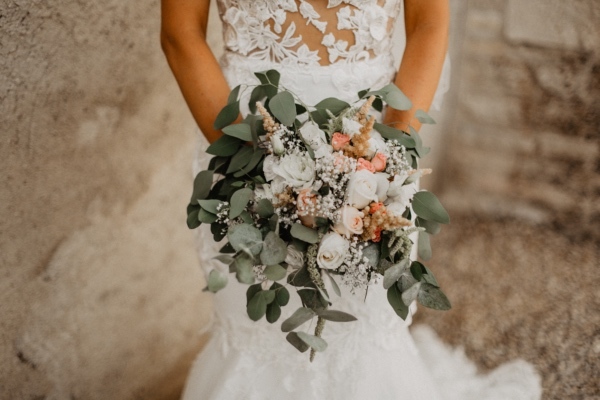 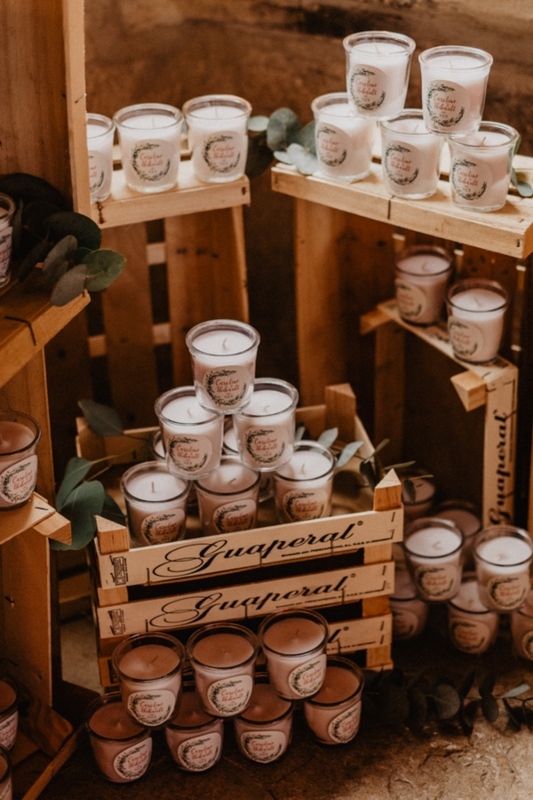 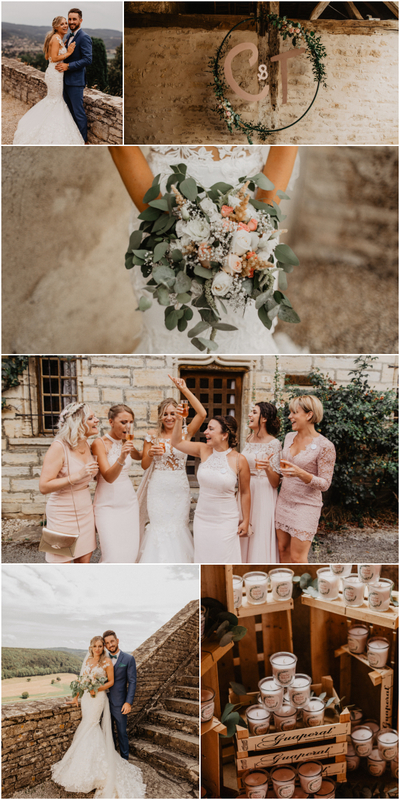 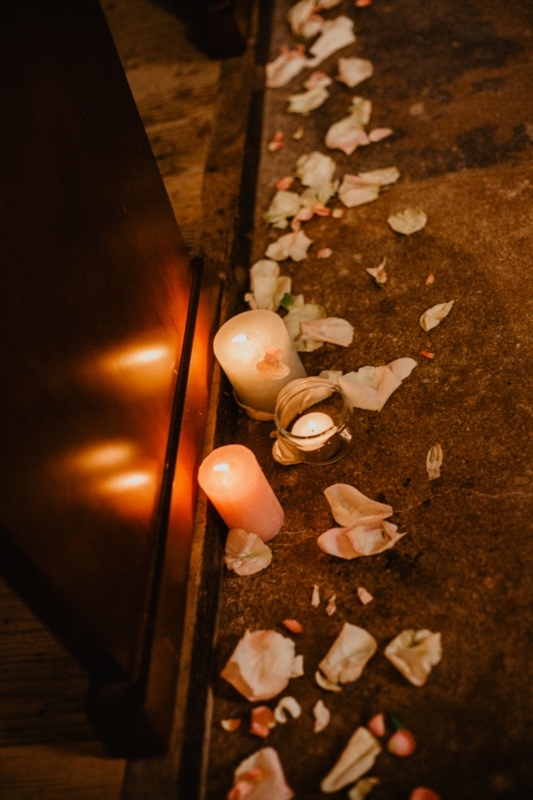 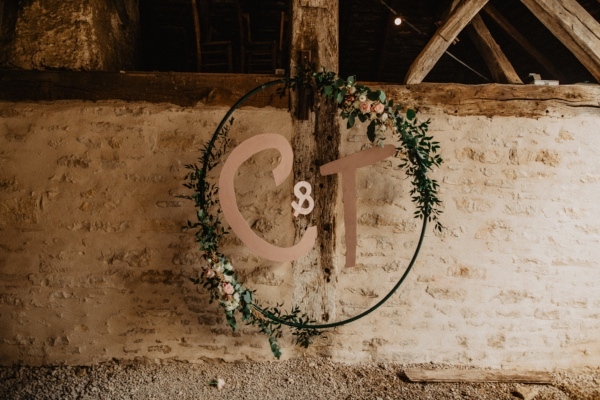 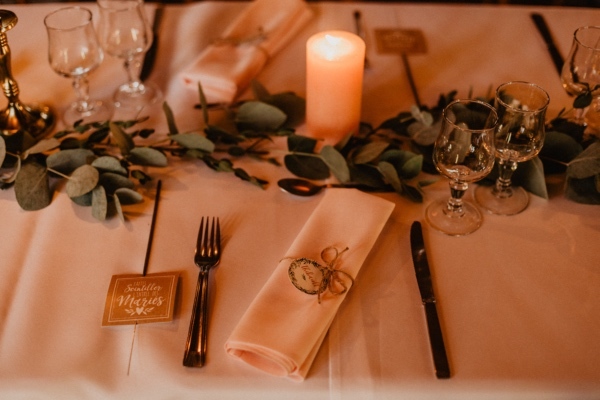 Good Morning FWS readers and Happy Monday, today on the blog we have a Château de Belvoir destination wedding photographed by Lucile K and planned by Un jour Parfait. 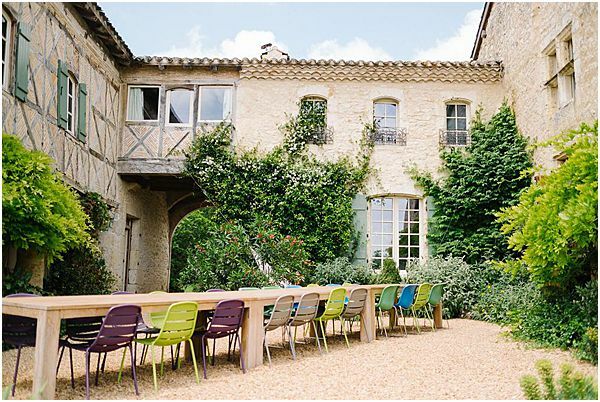 This lovely feature is set in a small village in Eastern France and is very close to the Doubs river. 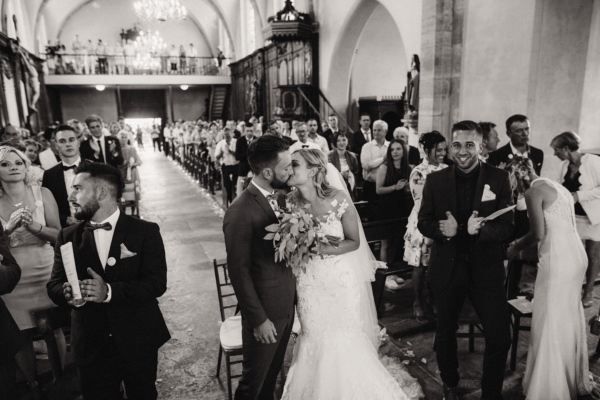 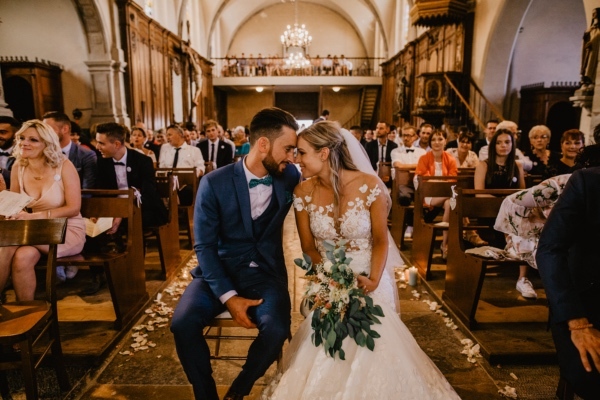 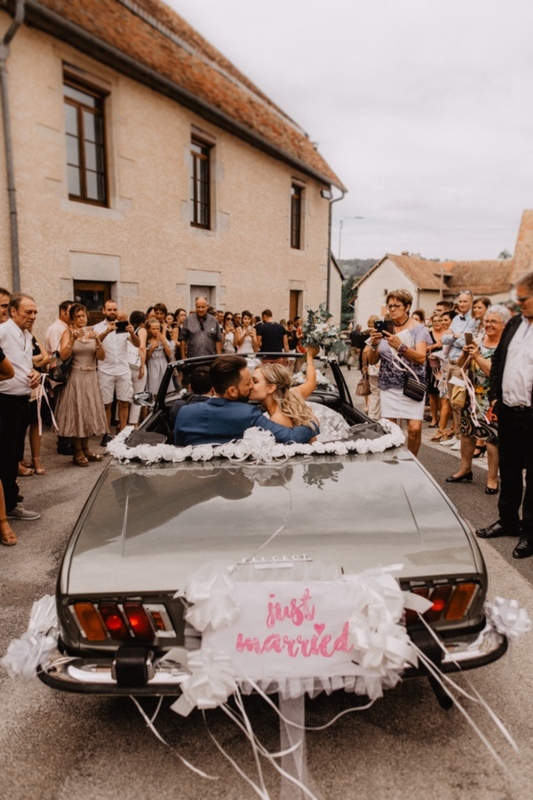 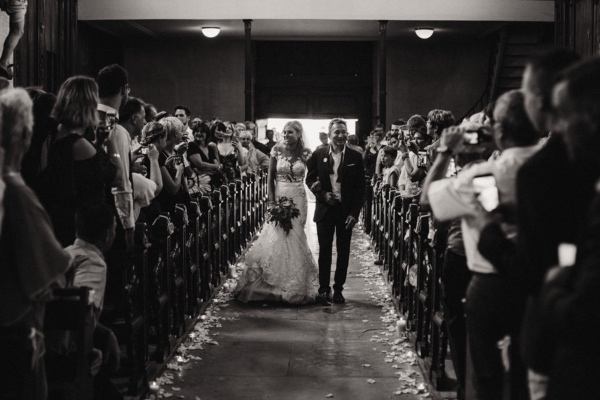 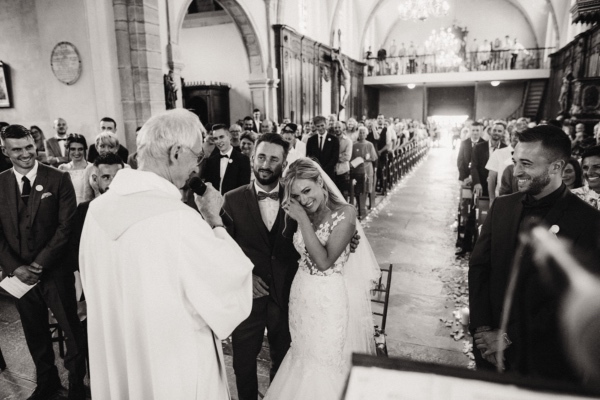 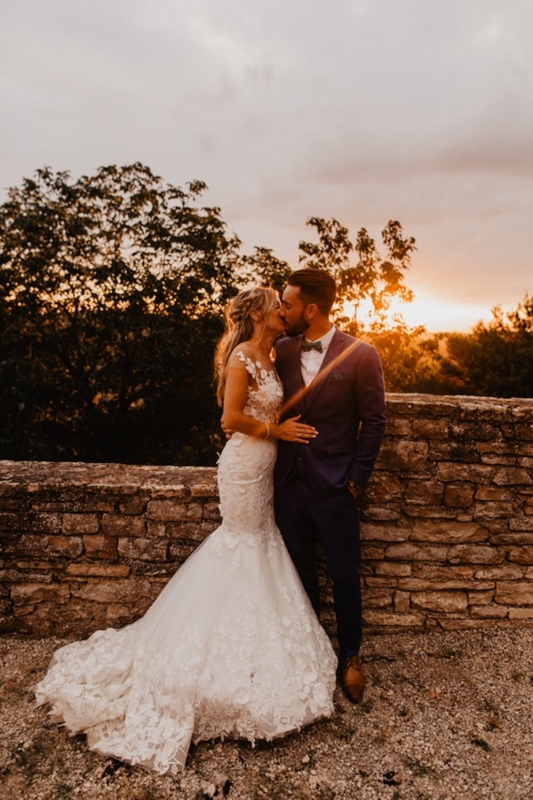 Caroline and Thibaut got married on July 14th in a small village of the Doubs in France. 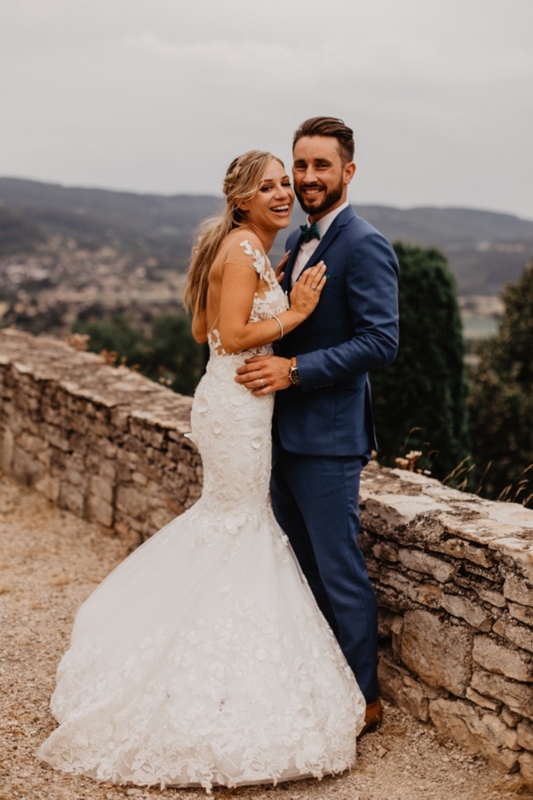 Those two are quite party-people so they got married on French national day and they got brunch during the final of the football world cup. 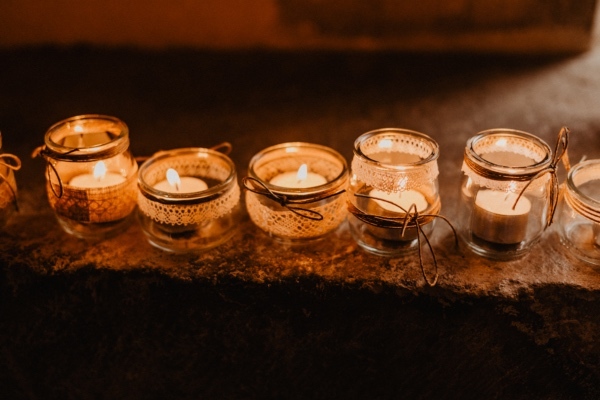 On that day, the atmosphere was relaxed. 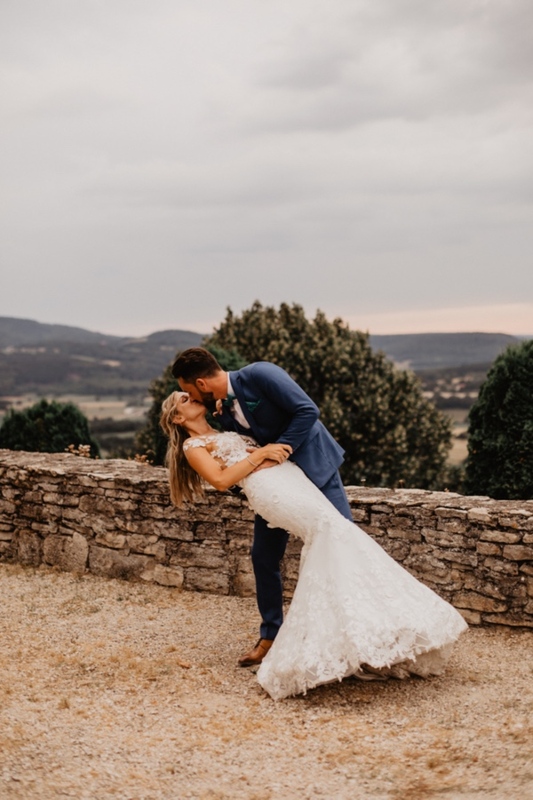 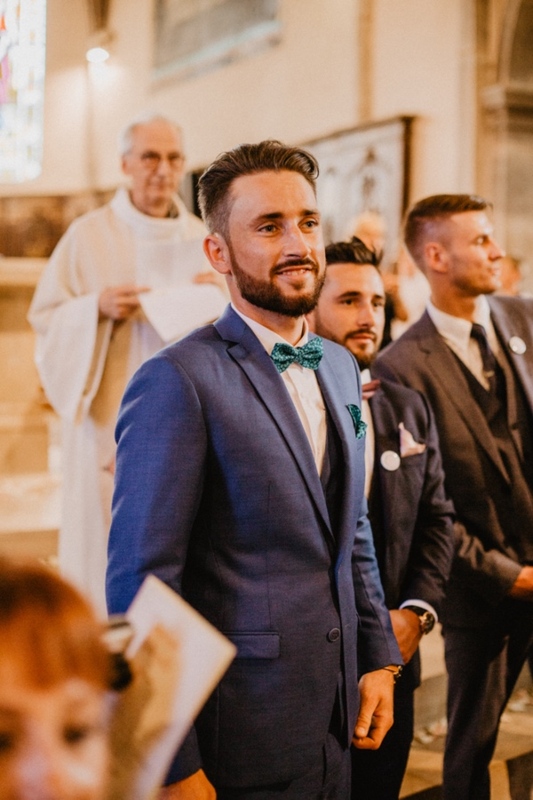 In those small French villages, where everybody knows each other, everyone was talking about the wedding and football. 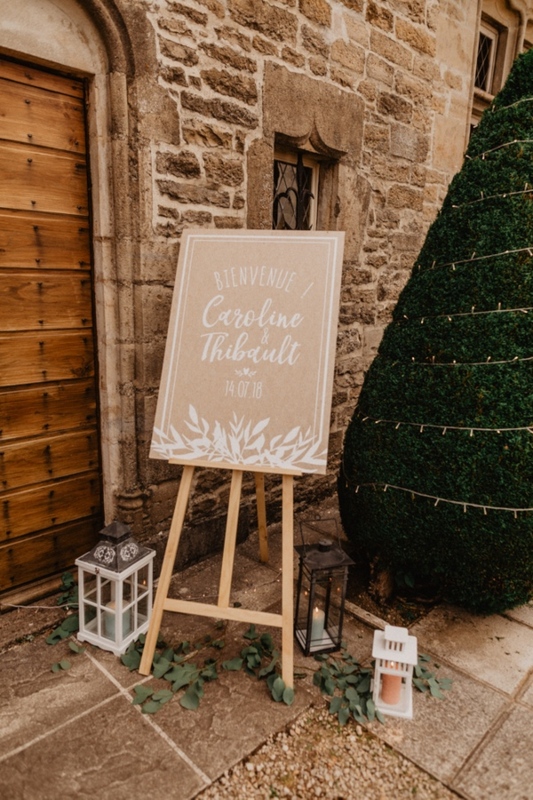 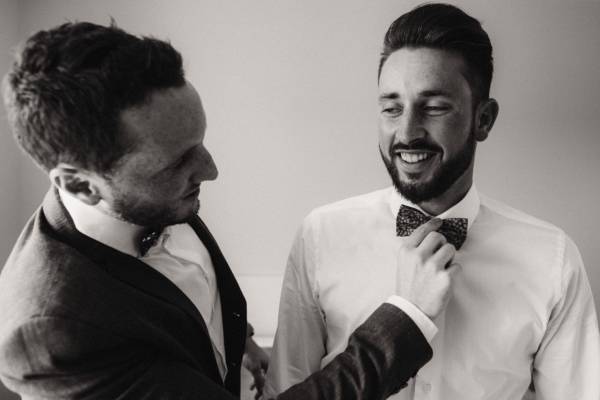 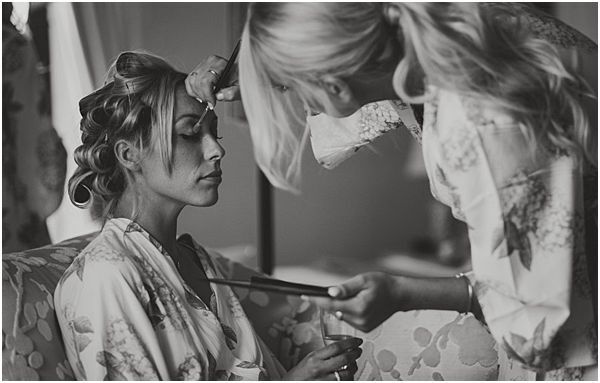 Caroline and Thibaut wanted to have a wedding that was simple, based on sharing, friendship and family. Both of them are very busy with work so they asked Karen from Un jour Parfait to plan their wedding and to find the vendors. 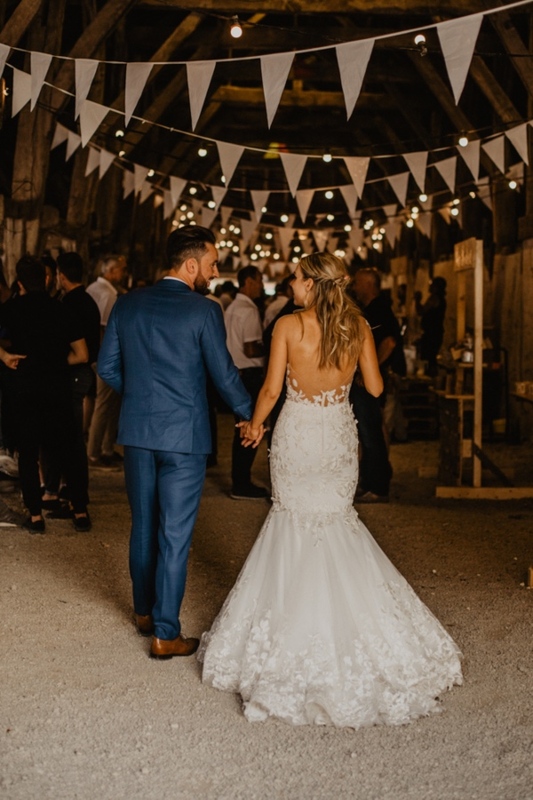 The cocktail took place under the old grain halls. 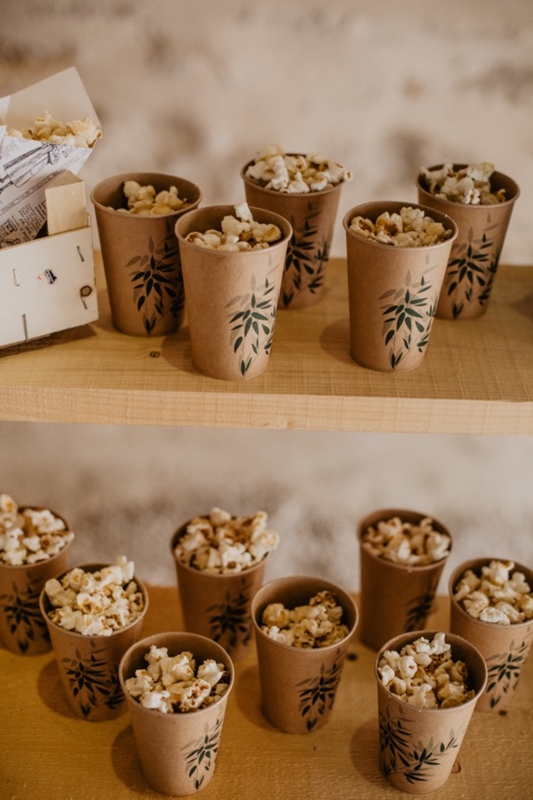 They created several workstations : White Wine Lillet Cocktail, Draft beer, Crepes, Pop corn, Candy Bar. 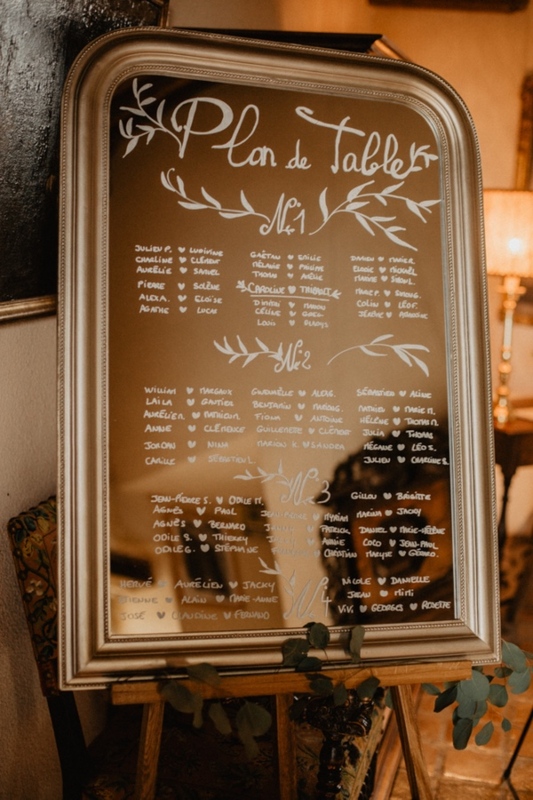 And also they also wanted an elegant and timeless wedding. 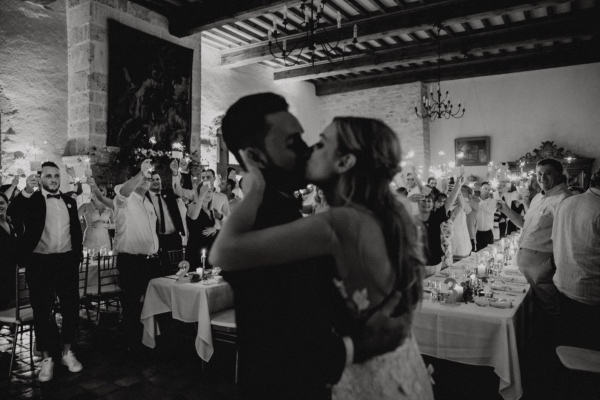 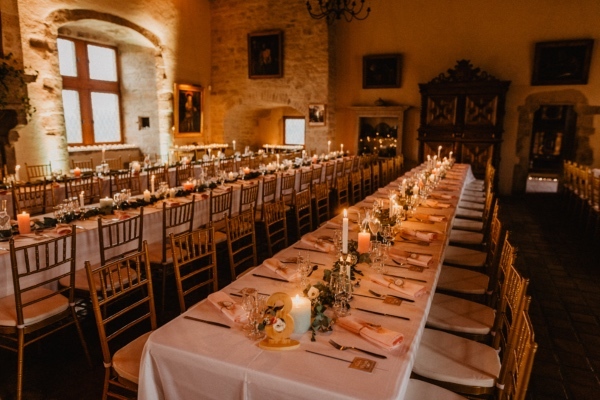 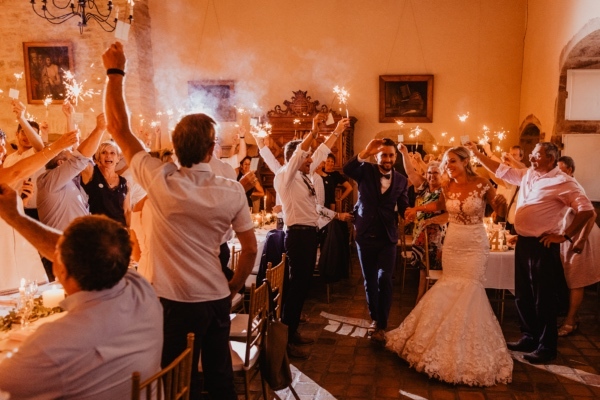 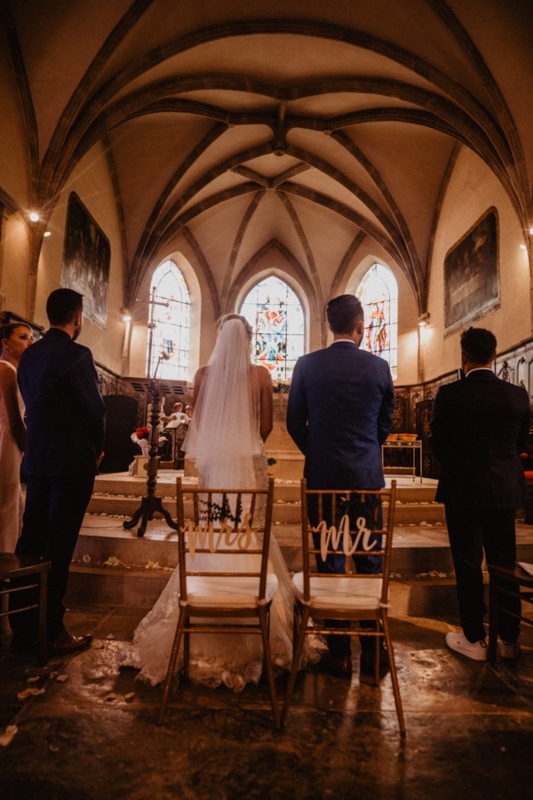 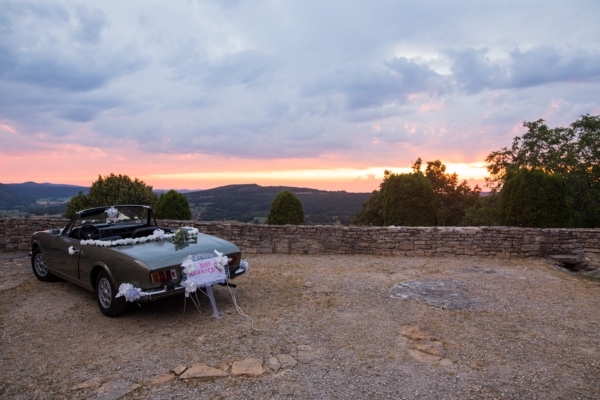 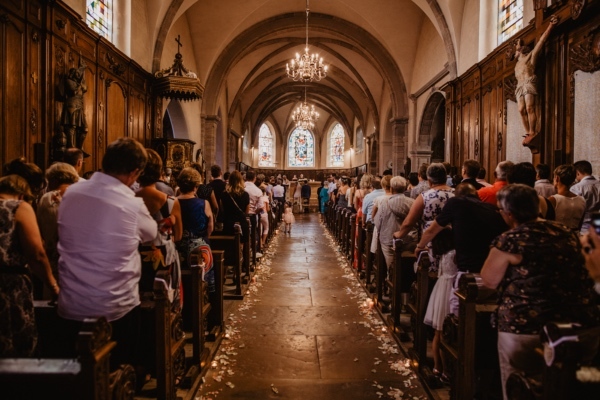 They chose this beautiful venue, an old fortified castel Le château de Belvoir. 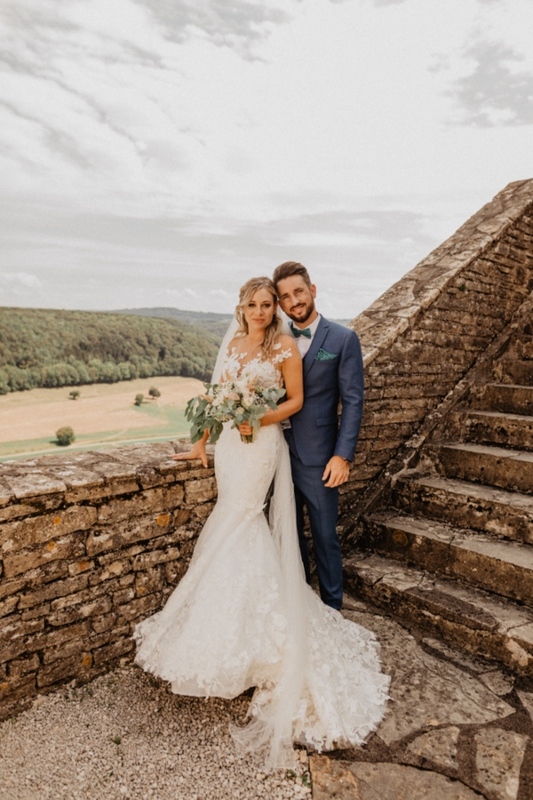 Caroline with her Millanova dress et Thibaut with his Faubourg Saint Sulpice suit looked like the prince and the princess of the castle. 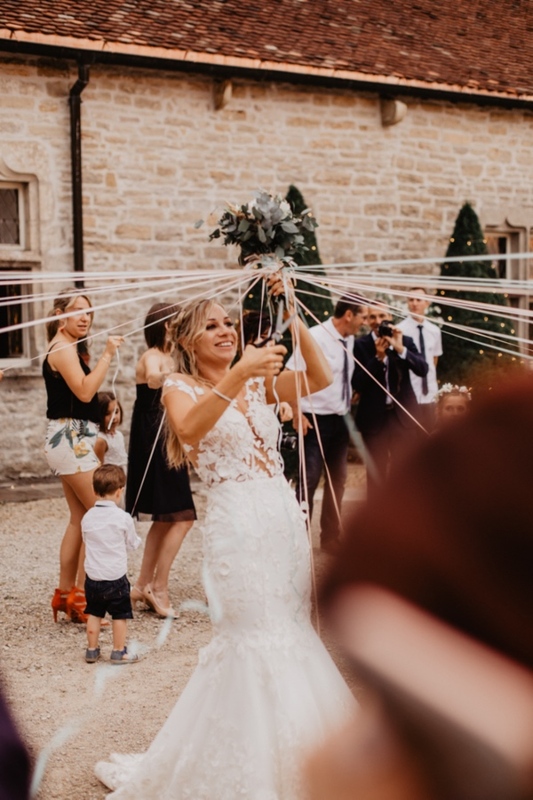 As an alternative to the classic bouquet throw, Caroline chose the ribbon game where she cuts the ribbons as she goes along and the last girl wins. 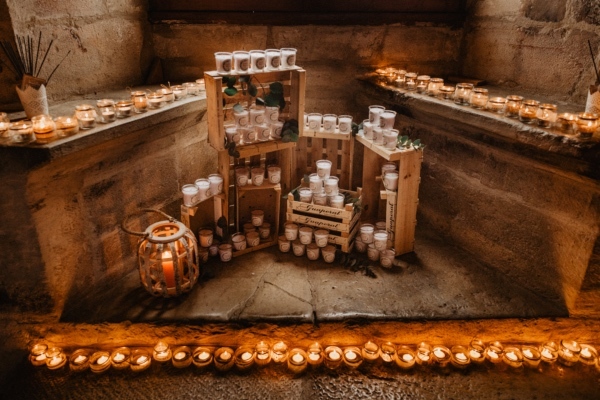 The diner took place in an old rool of the castle lightened by a hundreds of candles for an intimate feeling. 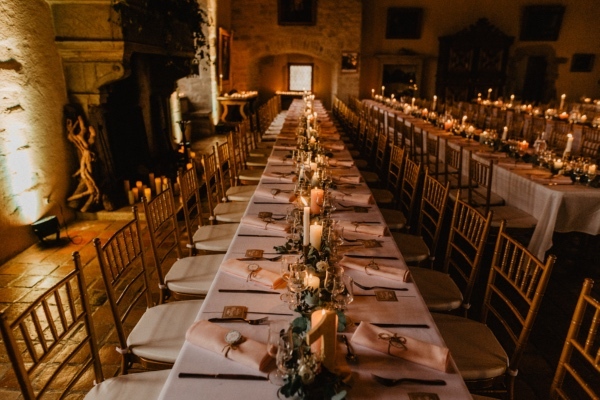 They chose large banquet tables that gave, in addition to candles, a very retro, elegant and festive look to the castle. 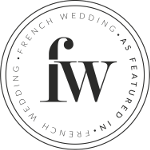 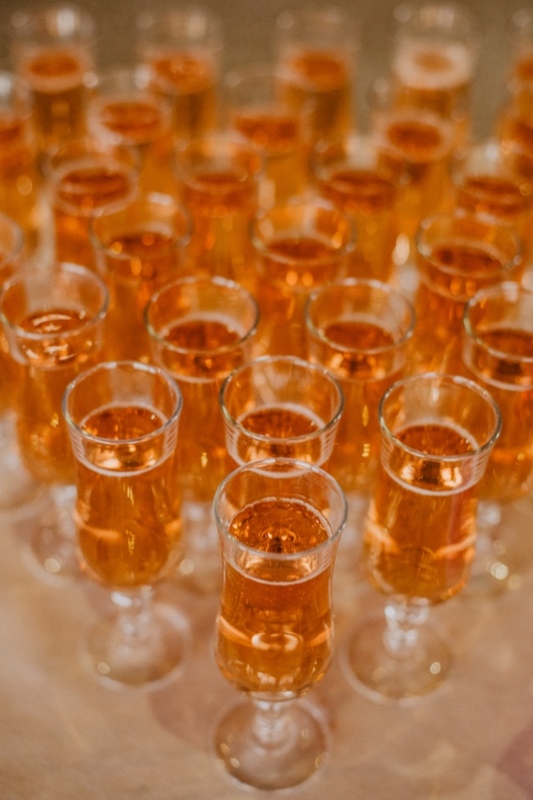 We will use the above details to send you French Wedding inspiration via our email newsletters.